Is your wife or mother like no other? Tell her with this card! This 5.5x5.5 inch card comes with a black envelope. 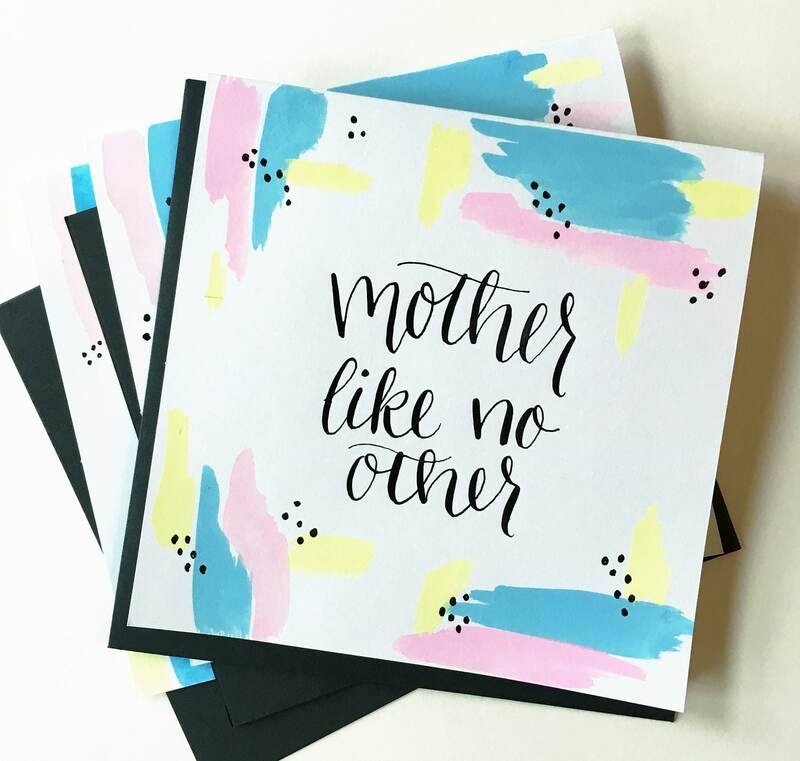 Cards are individually hand-painted (no printing here) with watercolor on white card stock. I use a traditional pointed-pen and ink for the calligraphy.